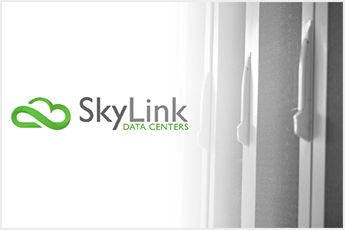 Skylink Data Centers is a full- service co-location, hosting and Managed Service Provider (MSP) – the largest in southwest Florida – serving over 40,000 users. Skylink’s business has experienced remarkable growth over the past seven years through a focus on both technical excellence and world-class client service that drives word-of-mouth referrals, its primary source of new business. Because of eG Enterprise, I’m not stuck having to put out fires all day. I can spend my time going out and getting new business or talking with customers, just seeing how they’re doing, rather than trying to fix a problem. 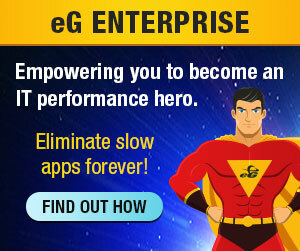 Do people know that eG Enterprise is the product we’re using? Probably not. We just tell most customers that if there’s a problem, chances are 99.9% of the time, we know about it before you know about it. And we already have someone going to fix it, and we may have already fixed the problem by the time you even get around to making the call. And that is true. eG Enterprise is what allows us to achieve such a high SLA for our customers. Through complete visibility into the Citrix service infrastructure and all applications on each Windows server, automatic performance issue discovery and diagnosis, configurable e-mail alerts, and full multi-tenant support, eG Enterprise helps ensure excellent performance and customer service for SkyLink’s enterprise healthcare, government and hospitality clients.